Who needs to take the Virginia Boater Safety Course? All PWC operators age 14 and older and all motorboat operators regardless of age need to take the boating safety course. For a personal watercraft (PWC), the minimum operator age is 14 and operators must complete and pass a boating safety course before they can operate. For a motorboat, there is no minimum operator age and there is no minimum age requirement to attend a NASBLA-approved boating safety course. Youngsters can operate a boat under direct supervision of a person who meets the boating safety education requirement. No person aged 13 or younger may operate a PWC. PWC operators who are 14 and 15 years of age must have proof of successful completion of an approved boater safety course that is approved by the National Association of Safe Boating Law Administrators (NASBLA). 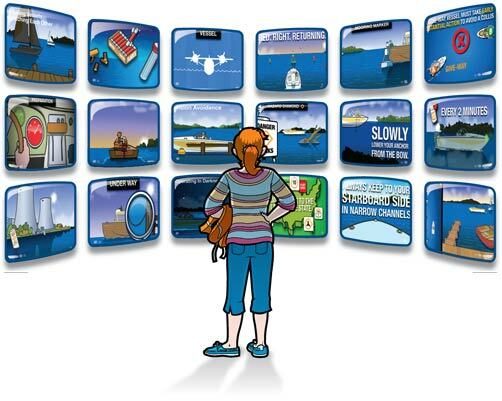 From laptop to mobile phone to tablet, choose when and where to take your boating course and get your Virginia Boating Card. 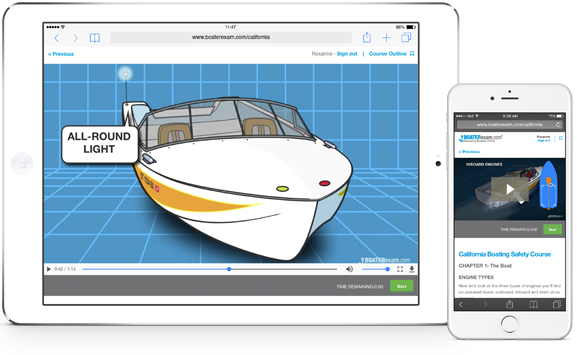 Our Virginia boating license course features hundreds of rich engaging boating videos and animations. That means you aren't just reading: You're watching, listening and learning. 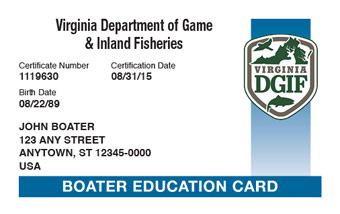 This official Virginia boating safety course is approved by the State of Virginia's Department of Game and Inland Fisheries.